Hit the road between Sogndal and Geiranger for a ride through the world’s most spectacular landscapes. Overnight it along the way, and indulge in a unique, exciting activity or two! The easiest way to tour Norway's natural marvels is our tour bus. 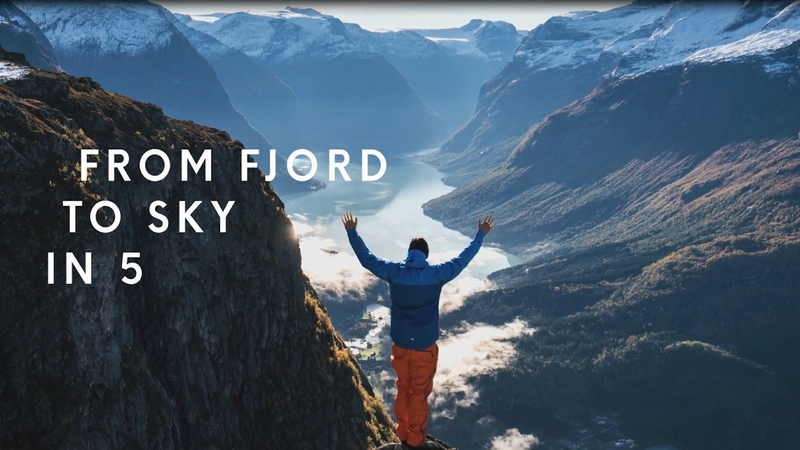 The Sognefjord-Nordfjord-Geirangerfjord UNESCO Fjord Bus Tour is the ride of a lifetime through the most spectacular fjord regions in Norway, packed with towering peaks, roaring waterfalls, charming villages and idyllic farmland. Hop off the bus for an overnight stay along the route to soak in local atmosphere before riding on. Pressed for time? No problem — take a one-day round trip. The area between Sogndal and Geiranger is chock full of one-of-a-kind sights,with beautiful towns and villages and activities. An overnight stay along the way guarantees enough time to enjoy them all. Snuggled in the inner Geirangerfjord, which is included on the UNESCO World Heritage List, Geiranger village boasts myriad activities, such as kayaking, RIB boat trips and fjord cruise safaris. In Geiranger you have time to enjoy activities such as kayaking, a rib-boat trip, a fjord cruise safari or simply relax by the fjord. Want to stay and extra day? You can easily book accommodation in Geiranger along with your tour. The bus makes a short stop at Flydalsjuvet view point, perched high above Geiranger village, for impressive views and excellent Geirangerfjord photo-ops. Flydalsjuvet is a spectacular viewpoint that offers impressive views and excellent photo-ops of Geiranger and Geirangerfjorden. If you have ever seen a photo from Norway, chances are it has been taken here. Flydalsjuvet is one of the most popular places to take travel photos in Norway. Understandably so, when you look at the view. Flydalsjuvet is located about 4 km from Geiranger, towards Grotli. Tucked in the innermost Nordfjord, under the great Jostedalbreen glacier, tiny Loen village, home to the new Loen Skylift — is perfect for exploring mountains by day, and pampering yourself by night. The spectacular Loen Skylift rockets you 3,315 feet high in just minutes! At the top, enjoy fjord views from a restaurant table or hike one of the many mountain trails. Charming Sogndal village lies on the stunning Sognefjord, Norway’s longest and deepest fjord and one of the world’s most scenic travel destinations in the world. Sogndal is perfect for hikes or just relaxing by the fjord. This is a bus trip through Norway's most beautiful fjord and mountain scenery. You can start from Sogndal, Fjærland, Skei, Olden, Loen, Stryn or Geiranger. This tour is available during the summer season and requires overnight stays along the route. You start your tour from Bergen or Oslo and can take the tour as a round trip, with return to your starting point, or as a one-way trip to either Oslo or Bergen. To read more about the tour from either Oslo or Bergen click here. You can start your trip from Oslo or Bergen and the tour requires overnight stays along the way. Read more about the tour from either Oslo or Bergen, and order by clicking here.